To the Paschal Victim, Christians, offer a sacrifice of praise. has reconciled sinners with the Father. battle; the Prince of life who died, now reigns living. 4. Tell us, Mary, what did you see upon the way? 9. O Victorious King, have mercy on us. 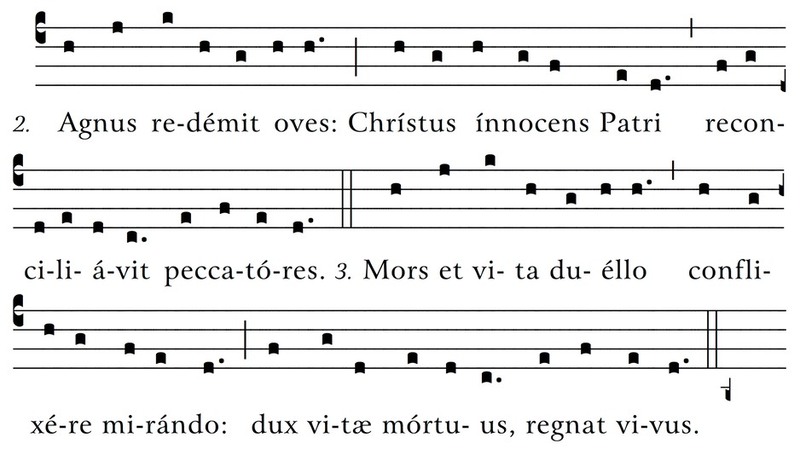 In the Extraordinary Form of the Mass the Sequence follows the Alleluia chant. In the Ordinary Form the Sequence precedes the Alleluia chant; therefore, the ending “Amen. Alleluia” is omitted.